These are not your run-of-the-mill thank you cards either. They are awesome. From the paper quality to the ability to personalize them with photos and your own text, these cards are sure to leave a lasting impression. Who do you need to thank this year? 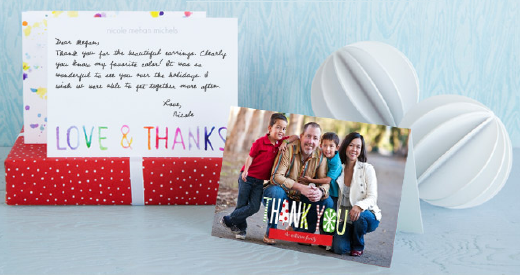 Check out Tiny Prints right away and say “thank you” in style this year. And remember to use promo code DOD1220 to save 50%! P.S. You don’t need a gift from someone to let them know you’re thankful for them!